Learn about animal communication and how to connect with animals at a deeper level. 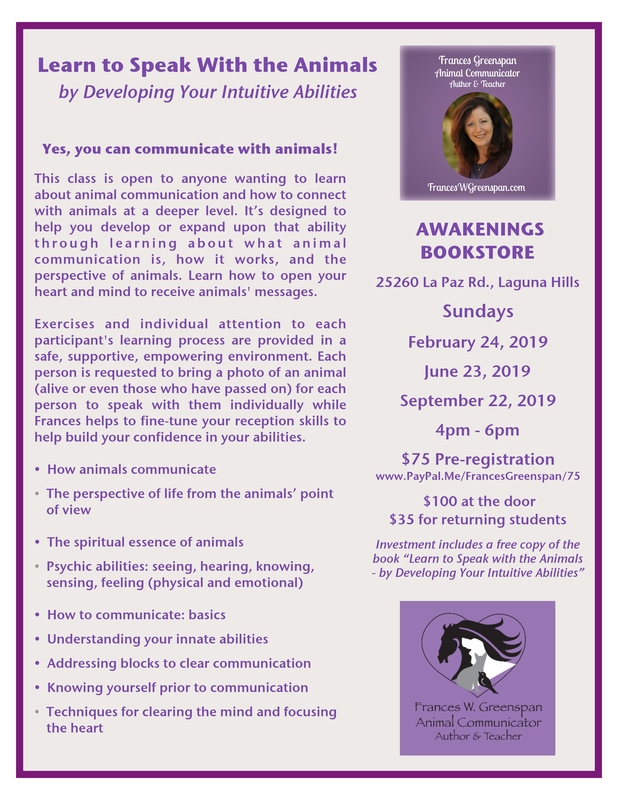 This workshop will help you develop and expand your intuitive abilities as you learn about what animal communication is, how it works, and the perspective of animals. Learn how to open your heart and mind to receive animals’ messages.